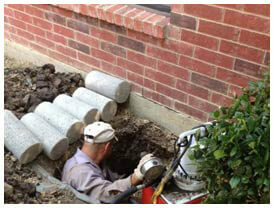 HD Foundations Offers Foundation Repair at an Affordable Price. For Grand Prairie foundation repair service, contact the contractors at HD Foundations. We’re a company that offers cost-effective service. At HD Foundations, we commonly perform foundation repairs that terminate structural foundation damage. If you have a house in Grand Prairie, contact HD Foundations today for a free estimate. Why Grand Prairie Foundation Repair Done By Contractors? 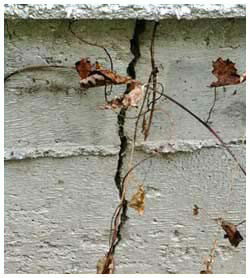 Here’s why: (1) Expert service will prevent crevices from damaging your foundation and keep your house level. You might want to study foundation repair problems in North Texas, including cracked concrete slabs. As Grand Prairie foundation repair contractors, we provide free foundation evaluations on residential structures. (2) You’ll save on the cost of foundation work by addressing concerns while they’re small. In some cases, you may simply need for us to install or adjust foundation shims. Sometimes crawl space repair is required. It’s important to identify any moist crawl space damage and pier and beam foundation issues. By employing our foundation repair process, HD Foundations can solve problems at reasonable prices. (3) Health and safety hazards are reduced, as is foundation sinking and settling. 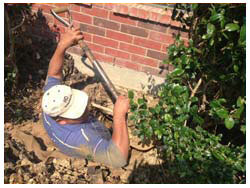 To better serve our Grand Prairie customers, we offer a lifetime foundation repair warranty. We’re a Better Business Bureau affiliated company with an A+ rating. It’s important to learn all about the foundation repair process. The contractors at HD Foundations perform the house leveling procedure by: (1) Clearing the site before working on a house foundation. (2) Digging holes in which to position foundation pilings. (3) Installing interior or exterior foundation piers, including steel foundation piers or pressed concrete foundation piers. They’re commonly needed in Grand Prairie. Fees for fixing foundations vary. The contractors at HD Foundations will be happy to stop by and evaluate your property at no cost. If you think you may have foundation damage on your residential property, schedule a free estimate for foundation repair in Grand Prairie today.